There were no surprises at the top of the leaderboard at WODAPALOOZA as the second CrossFit® Sanctioned Event drew to a close. 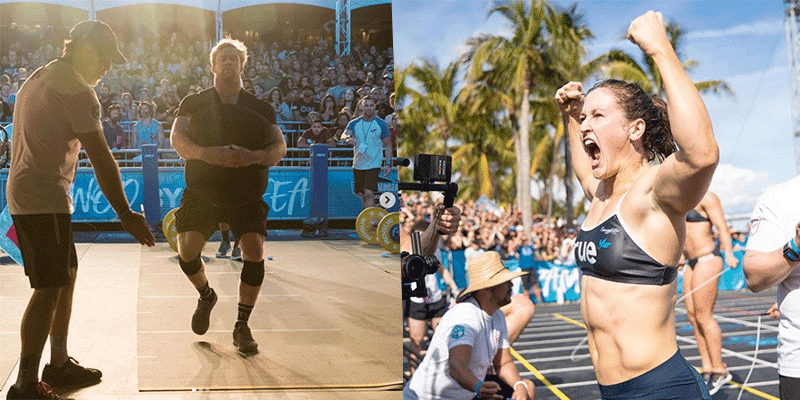 2x CrossFit Games® Champion Tia-Clair Toomey stood on top of the podium in the elite women division, and Canadian fan favourite Patrick Vellner took victory in the male category. Both athletes looked dominant throughout the entire event, with victory margins of 90 and 124 respectively. Vellner spoke before the competition that he wished to make a statement in Miami, and he delivered on his promise. Former 3x WODAPALOOZA champion Noah Ohlsen put in a brave fight to regain ground on the leaderboard after slipping into 17th position early on in the competition. WODAPALOOZA is a tremendously varied event, offering competitions for a variety of fitness levels and abilities, including Youth, Masters, Scaled, and Adaptive divisions as well. The Adaptive Standing RX just got international. 🇫🇷 Alexis Fiorucci is from France and this is his first year at WZA!